September 18, 2017 / Modified sep 18, 2017 10:18 a.m. But other big names are coming to the block. An illustration of possible changes coming to the building that housed Wig-O-Rama. Peach Properties announced earlier this year that it was in final negotiations with the CVS Pharmacy chain for a lease on the old Chicago Music Store building, on Congress and 6th Avenue, but the developer said plans have changed. Ron Schwabe, who owns Peach Properties, said CVS came close to moving in, but that the plan was scrapped in the end. "They spent a lot of money on plans and were very serious about going in, and they've had a sort of strategic shift in their bricks and mortar stores." He said he's in talks with a number of other interested parties for the space but nothing has been finalized yet. However, major changes are coming to the iconic block, which has been the home of more than one Tucson institution, over the years. The Chicago Music Store moved out in 2016, the Red Room and the Grille closed a few years ago and Wig-O-Rama called the west end of the block home until it was shuttered this spring. Schwabe said he's working to bring the Loft Cinema into one of the buildings. It would be downtown’s only first-run movie theater. 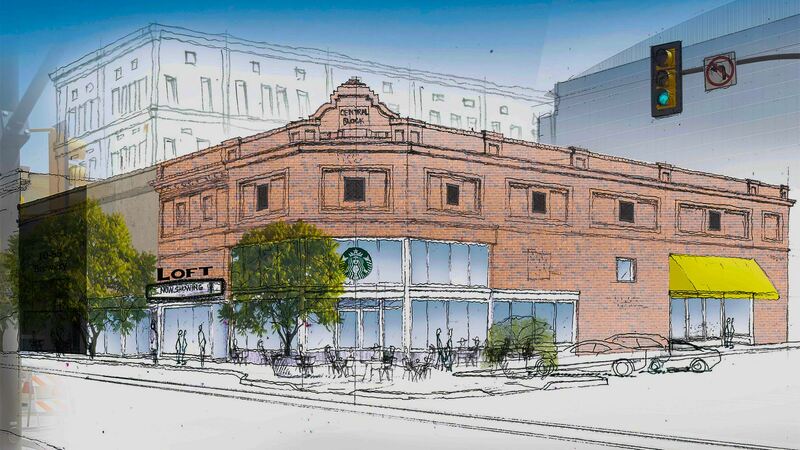 "We’re in negotiations with Starbucks, which 20 years ago they wouldn't look at the downtown," he said. "They’re finally coming back to the downtown. And another of other retailers, 1055 brewery, we signed a lease with them for part of that space." Schwabe said it's an exciting time to be working in the area. In 10 years he thinks it will be a "world-class downtown."